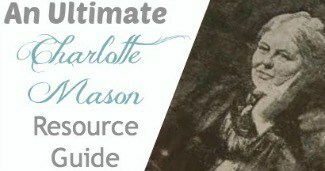 If you are a Charlotte Mason educator, you know her famous quote “Education is an atmosphere, a discipline, a life.” In order to effectively implement her method of education, you need to understand these elements. Our surrounding is what most would think of when contemplating an atmosphere and it plays a key role to our education. When you consider your own surrounding and how it affects your homeschool, consider the pros and cons of your surrounding. Is your home tidy and books in their places for easy using? Are your children's toys and books in the same area causing them to be distracted when learning? 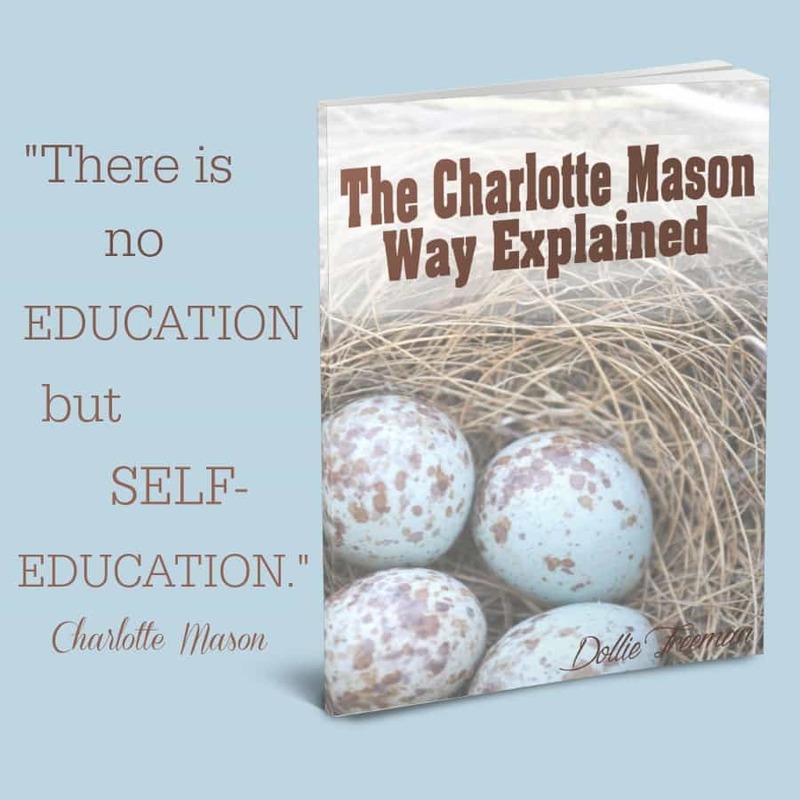 In our experience of homeschooling, our surrounding is very important to the atmosphere in our home. We have done many things in working on what surrounding works best for us, including working at the table as a family, on the couch, in individuals room and now in a school room. In all of our attempts, we have found that we have learned best if our surrounding were clutter-free, toys were out of view and books were put back in the same place for easy finding the next time. An atmosphere of education is easily affected by sound, both positively and negatively. Having children that range in ages, sounds can play a part in the atmosphere of education. Training younger children early that lessons are being done and we need to be quiet during these times can really help with the atmosphere of your homeschool. It takes some time to create an atmosphere and being consistently focused on this aspect of your home can really help you improve the quality of your children's education. Music is another sound that can affect your atmosphere for the positive. If your home is loud and hard to control the atmosphere, I would encourage you to implement classical music during this time, softly playing in the background. This is a natural way to calm the atmosphere. As my children are in that loud stage before dinner, especially in the shorter days of the year, I will often put soft music playing in our background to help promote the peace in our home as my husband switches from work to family. I have always been a lover of routines, but I have found if we are off our routine, our atmosphere of education struggles as well. 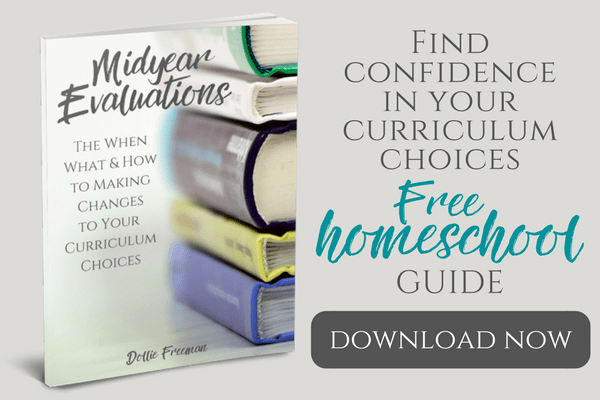 Children of all ages thrive on knowing what to expect next and when that routine is messed up, chaos can easily take over your homeschooling atmosphere. When setting up a routine, I would encourage not to consider a schedule but rather a flow. A routine allows for interruptions that all families face often, where as a schedule can quickly make you feel behind with the smallest interruption. 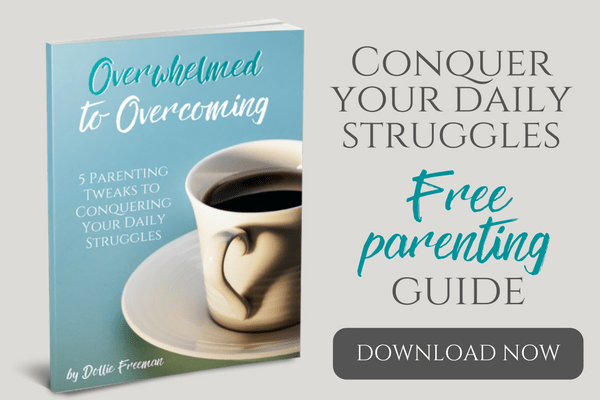 When a mom feels like her best thought out plans are messed up, she can easily get stressed and affect the atmosphere of her own home. The way we treat one another and each other's belongings can easily affect the atmosphere of education. If children aren't obeying and respecting what is being required of them, it is easier for mom to get frustrated and start yelling, which quickly makes the atmosphere of education impossible because peace is gone. In our home, we still struggle to keep the relationships in peace at all times but it is something that all families face because we are always together. Understanding that it is human to have issues is one thing but not having boundaries to keep peace in your relationships within your home is robbing you of the very atmosphere that you are desiring and working toward. What has worked for us is requiring brotherly love or sibling love, which means our children are not allowed to hit each other without correction. They have boundaries with each other's belongings and even their own belongings. Our children learn that what is required of them in homeschooling and home chores is part of their daily life, meaning that obedience is expected or required. Mom needs to practice patience and when patience is harder to exhibit, it is time to get daddy involved for the atmosphere of our home. I have been known to call my husband at work and ask him to speak to a child that was not obeying and doing what was required. Just having that shift is amazing for both the child and me. 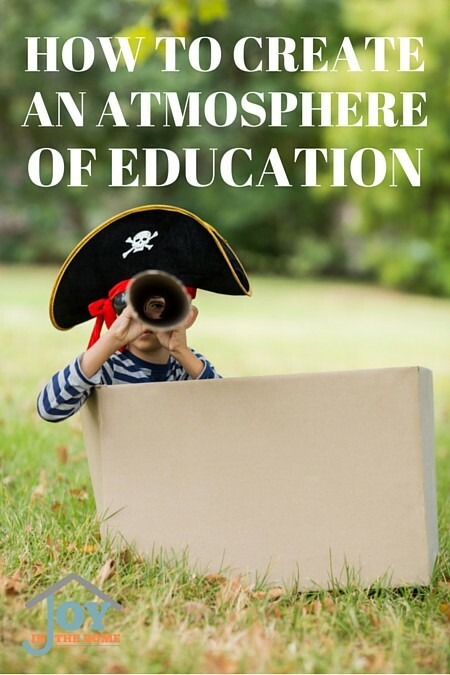 Having an atmosphere of education is so important to the success of your homeschool. I would encourage you to take the time to evaluate each of these areas and see how you can improve your atmosphere and get your family involve in the changes, after you explain to them the benefits of implementing them together.